Shri Ram College of Engineering & Management, commonly known as SRCEM, was established in July, 2008 to promote excellence in the field of engineering and management. The institution is ISO 9001 - 2008 Certified and managed by “Shree Gokulendra Educational Trust (Regd.)”. The college has been established with a firm belief that the right blend of conceptual knowledge and right positive attitude is essential for the overall personality development and to reach at the apex of success in the corporate world. 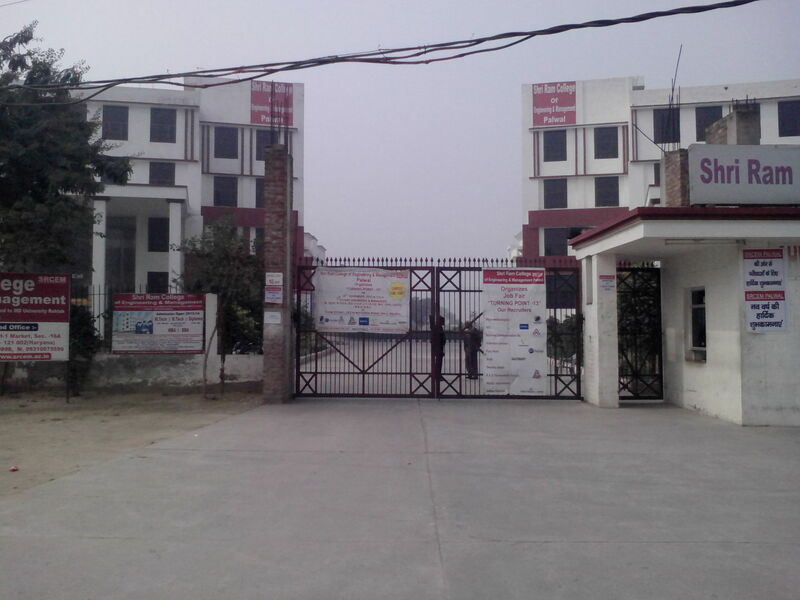 The college located at Palwal on NH-2, main Delhi - Mathura Road, about 50 kms from Badarpur/Delhi,and 40 kms from Faridabad, is easily accessible by institute transport in Delhi-NCR. The college is approved by the AICTE, Ministry of HRD, Govt. of India, Directorate of Technical Education, Haryana and Affiliated to MD University, Rohtak, and Haryana State Board of Technical Education, Panchkula.